Our Nation’s Capitol as You’ve Never Seen It Before! Imagine building a perfect replica of the U.S. Capitol building, home to the United States Congress. 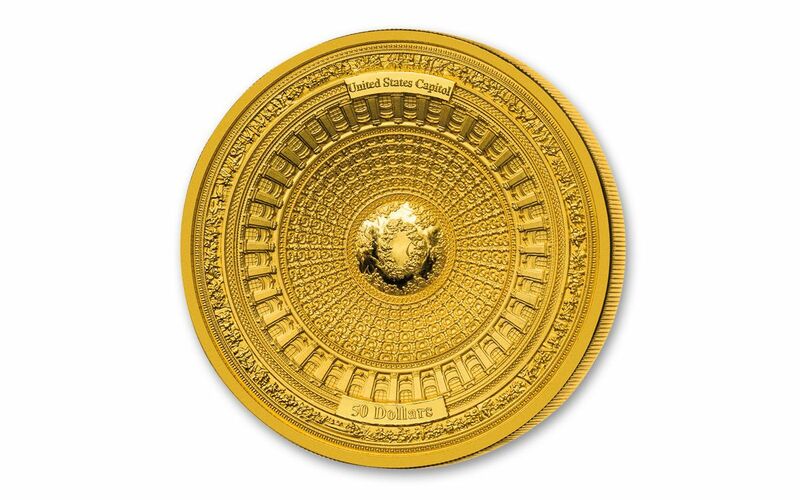 Now, imagine taking that replica and somehow managing to push down on the top of the dome until you have a striking, bowl-shaped piece of fine numismatic art. 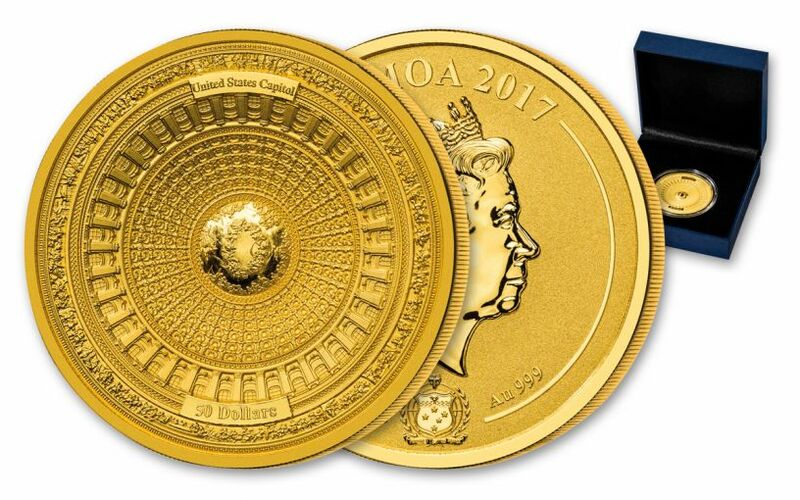 That’s what you get with this incredible gold reverse proof! 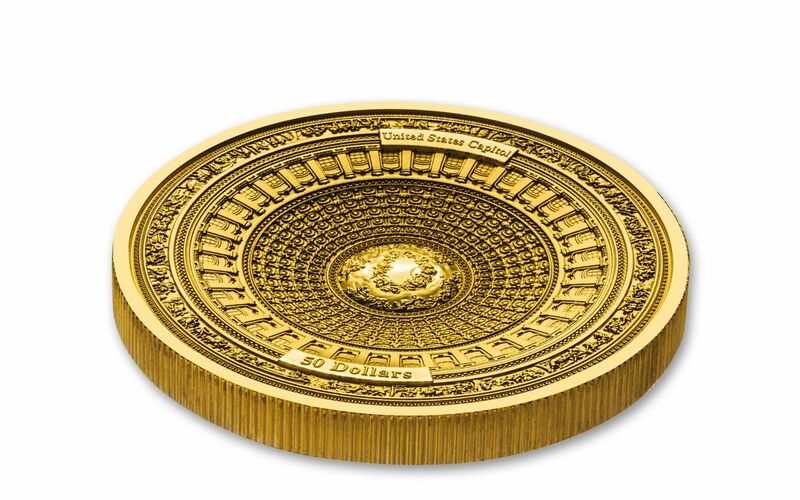 Struck in an impressive 100 grams of 99.9% pure gold, this United States Capitol Reverse Proof takes the design of the famous building and applies the intricate 4-Layer Minting Technique to provide incredibly deep relief. Each tiny detail of the historic building is on display here, giving you hours of entertainment pouring over the intricacies. 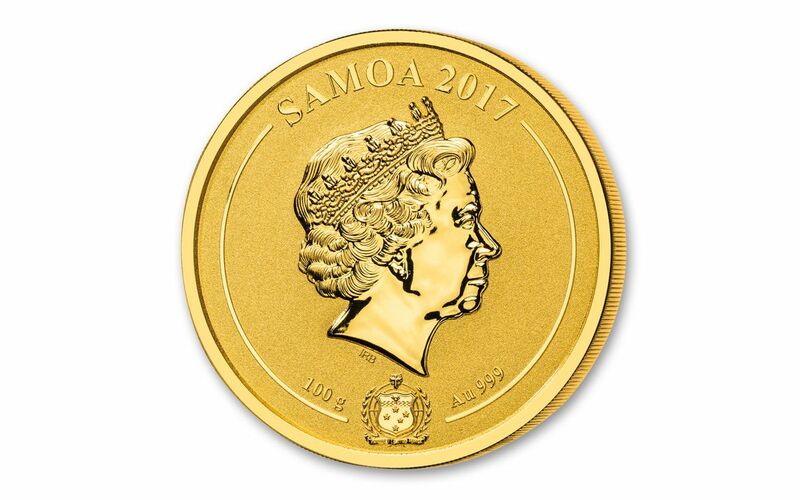 Each proof has a legal-tender value of fifty dollars in Samoa, which you’ll find struck right into the obverse along with the coin’s weight and fineness. As reverse proofs, they feature shimmering mirror-like details that hover over frosty fields for an effect you won’t want to miss. 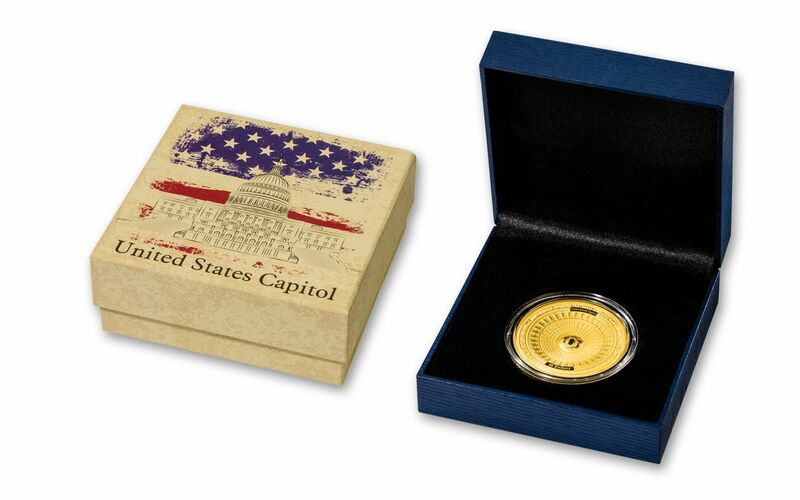 Plus, every coin comes housed in a custom presentation box with a certificate of authenticity. This release marks the third in the 4-Layer Series, with the first two selling out within hours of release. And with just 49 of these proofs being issued, there’s no telling how long they’ll last in our vault. Secure yours now!